Posted on November 9, 2018 by Smorgasbord - Variety is the Spice of Life. A wonderful interview with Jan Sikes by Robert Goldstein on his blog.. Jan is an author and blogger who cheers us all along… find out more about her love of Rick Sikes, the books that tells their story and her life and passions. 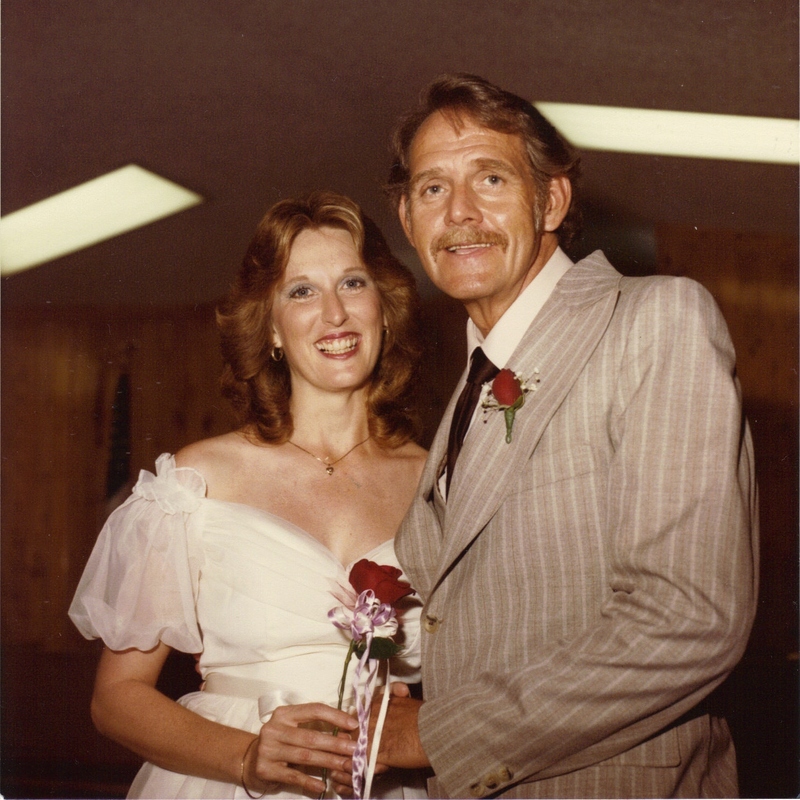 A portrait of Rick and Jan Sikes on their wedding day. You write songs, poetry, short stories, screenplays, and novels. How do you choose a form? I started out with a screenwriting class when I decided I had to tell the story, as I was thinking movie. (I still am, by the way.) I quickly concluded that the story was way too big to tell in one short movie. So, I branched out and took novel-writing classes not realizing at the time it would take four books for me to tell the story from beginning to end. I was originally thinking trilogy, but the last book got way too lengthy and I had to find a way to divide it. When writing fiction, I tend to gravitate toward short stories. However, I am on the second book in a series of full-length fiction novels now. I suppose the answer to the question would be, whatever direction the story pulls me. Sometimes it’s no more than a short poem and other times a 90,000 word novel. How did you realize you have a story to tell, what drives you to continue? What drives me to continue with this story is the message that each segment carries. If my story can touch one life, I am happy, and I’ve done my job. Enjoyed learning more about Jan’s incredible life! Thank you, Jacquie. I appreciate you! I’m so glad you reblogged this, Sally. It’s an incredible interview. I love it and I especially love the photographs. Beautiful! Thank you, Gwen. You are such an awesome cheerleader for me and my story. Hugs! Thank you, Sally, from the bottom of my heart! Oh how exciting, Debbie! I can’t wait!